The Canon PowerShot SD890 IS is one of three digital cameras that Canon recently released. Features on the Canon PowerShot SD890 IS includes a 2.5 inch PureColor II LCD display, a 5x optical zoom lens with a wide-angle focus range of 37mm and an optical telephoto equivalent of a 185mm lens. The Canon PowerShot SD890 IS offers a 10 mega pixel resolution. 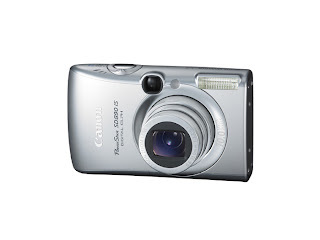 The Canon PowerShot SD890 IS sports a matte silver finish with curved and smooth lines on its right side. This camera features a multi-control dial to easily switch between shooting modes. The Canon PowerSHot SD890 IS features Canon's latest shooting technologies. This camera incorporates Canon's Optical Image Stabilization and Motion Detection Technology to minimize any blur resulting from handshake. The Canon PowerShot SD890 IS also has face detection technology, something which has been common in digital cameras recently released. The Canon PowerShot SD890 IS is the most expensive out of the three recently released Digital ELPH models. Price is around $399.99.